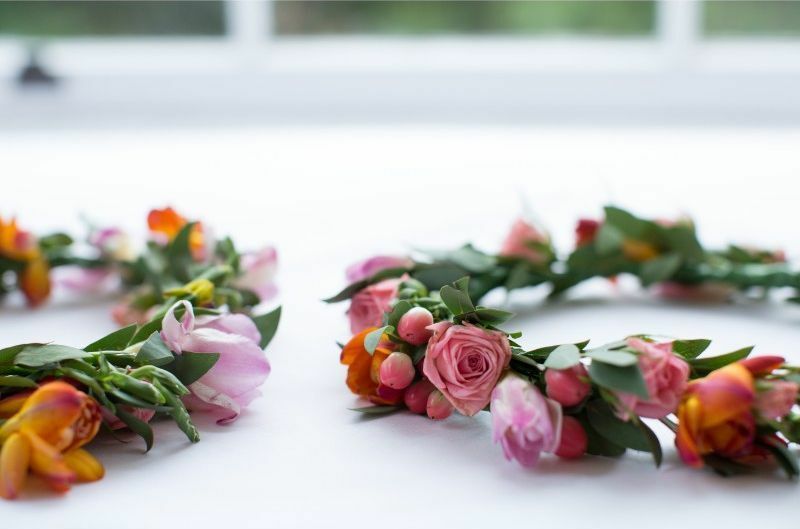 We’re pretty sure you don’t want the flowers that your sister had last year, and your budget might not stretch to Harry & Meghan’s floral arch… but we bet you have a few ideas of your own to explore. You might have nothing more in mind than a colour. 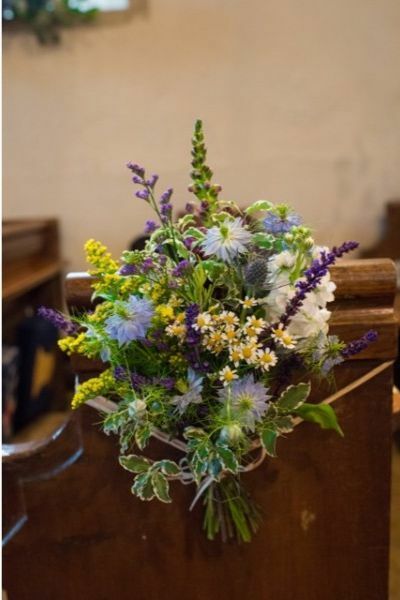 Or perhaps you know the ‘feel’ you’re going for but are unsure how to use flowers to evoke it? 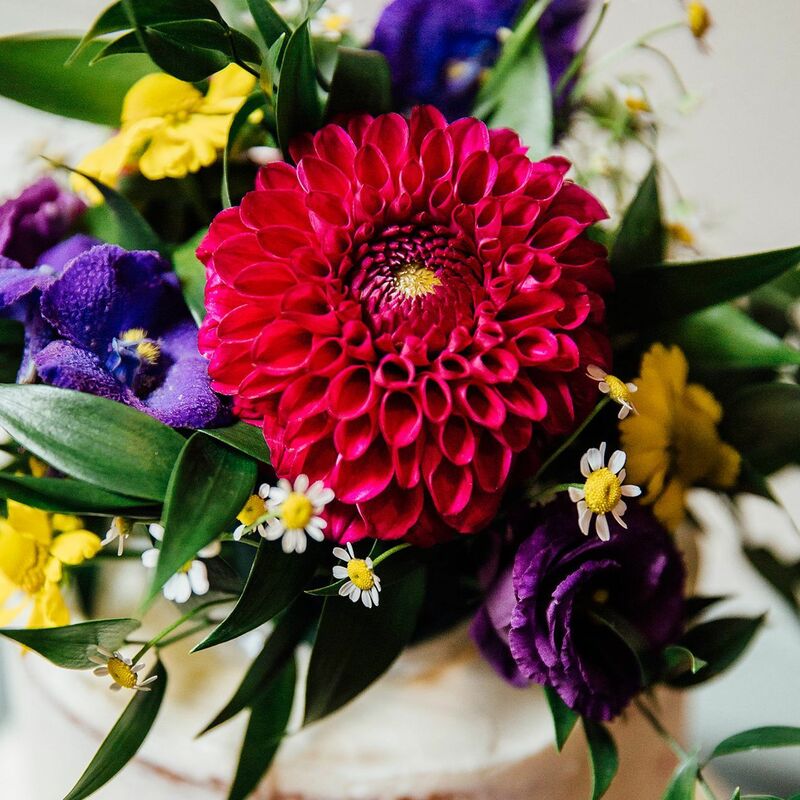 Quite possibly, you have a very firm idea of what you want and it’s just a question of finding the right florist to bring it all together. We can help get those thoughts and ideas in order. Come and meet us – there’s no obligation to place an order but you might find that we’re just what you’re looking for. You can book an appointment using the button on the right hand side of this page. Planning a wedding can be stressful, particularly in those few weeks leading up to the big day. The last thing you need is unnecessary phone calls from suppliers who are unsure what they’re doing. 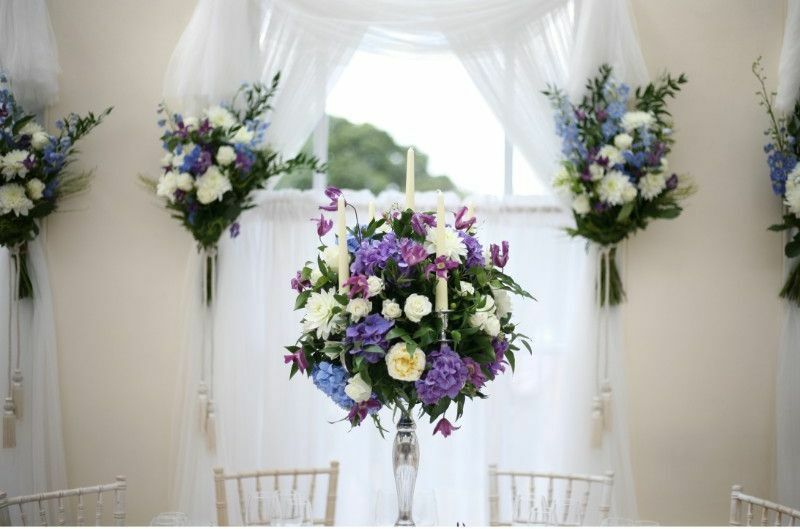 We create, deliver and install wedding flowers most weekends throughout the summer. Once we understand your requirements and have all the logistical details we need, you can trust us to deliver with the minimum of fuss. 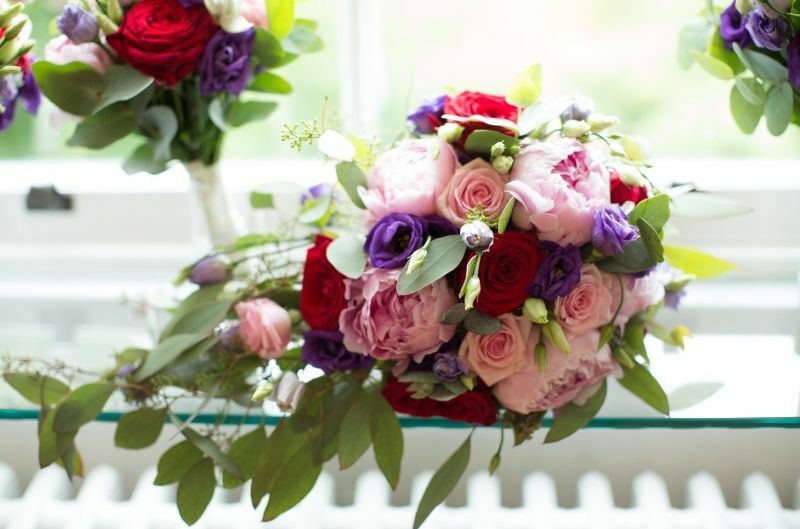 For a free, no-obligation chat about your plans, book a consultation with one of our florists. 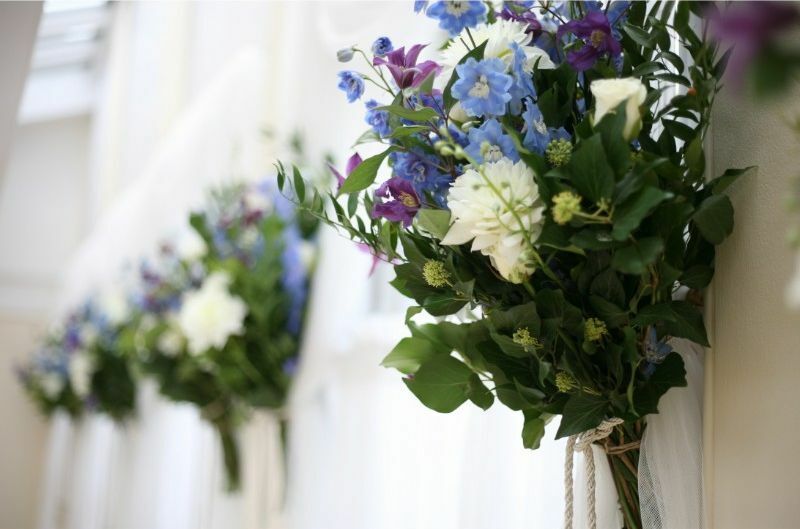 We’ll discuss your plans and show you some relevant examples of wedding flowers we’ve created in the past. 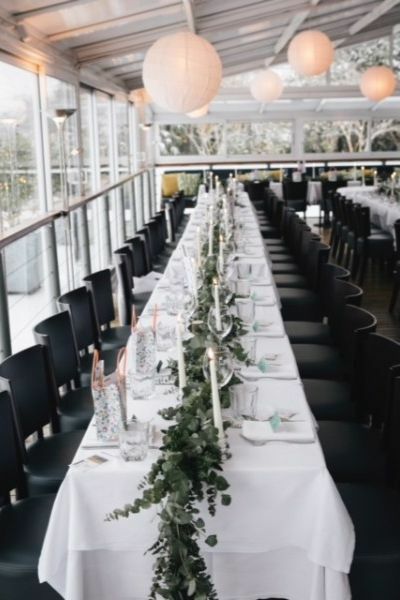 We might offer some suggestions to fit your budget, or look for inspiration from images, pinterest, magazine cuttings, fabric swatches, your dress, your venue… and whatever else you think is important. 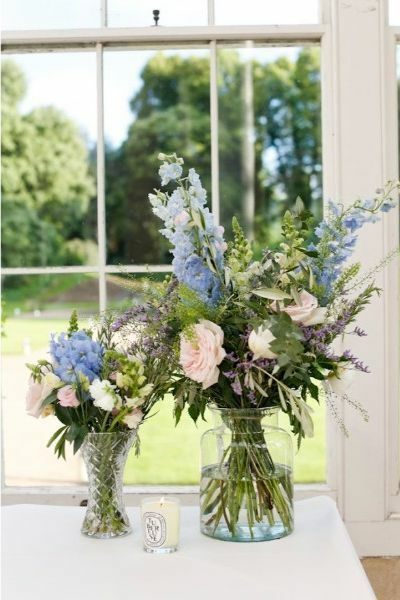 Do you prefer cut flower arrangements or planters? 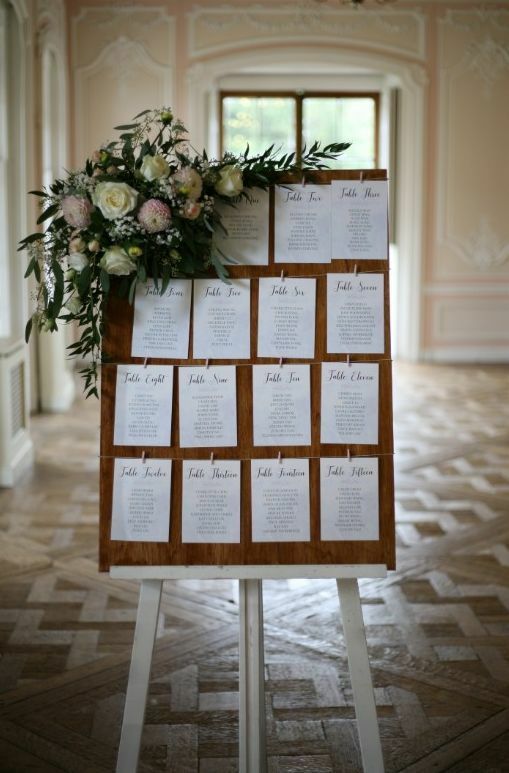 Are you looking for traditional/vintage displays or a more contemporary feel? 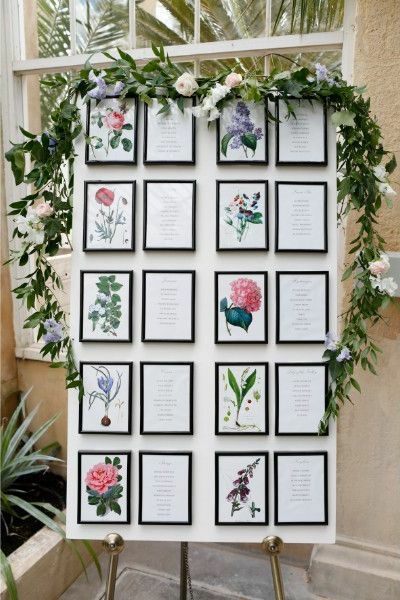 Do you want to include flowers with special meanings? If budget is important, what are the ‘must-haves’ vs. the 'nice-to-haves'? Following your consultation, we’ll prepare an itemised quote and email it to you within 7 working days. 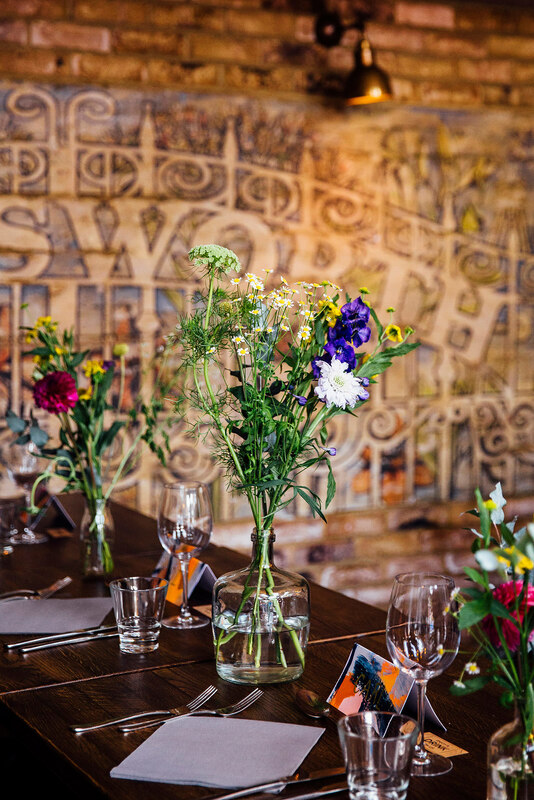 You’ll be able to see a full breakdown of costs, from buttonholes to table centrepieces. 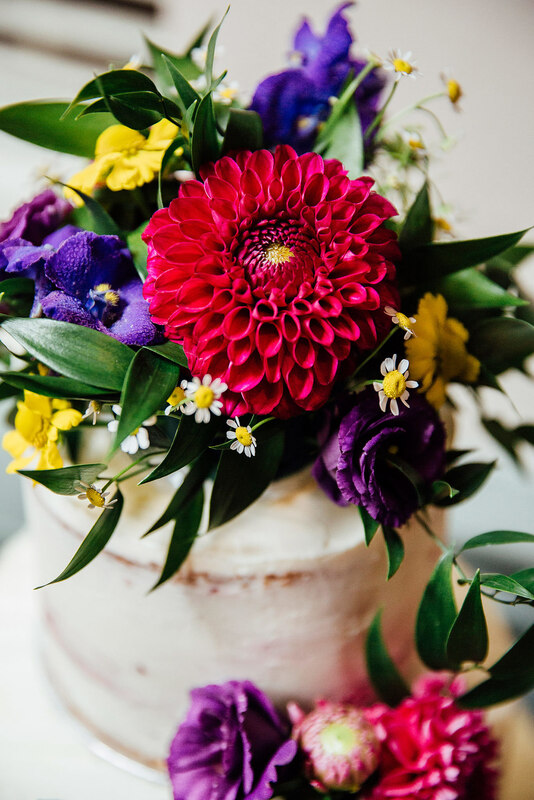 Once you’ve had a chance to consider it alongside quotes from other florists, you may want to make a few tweaks. No problem, just give us a call or drop us an email and we’ll make any necessary revisions for you. When you’re ready to book, we’ll need a 25% deposit. 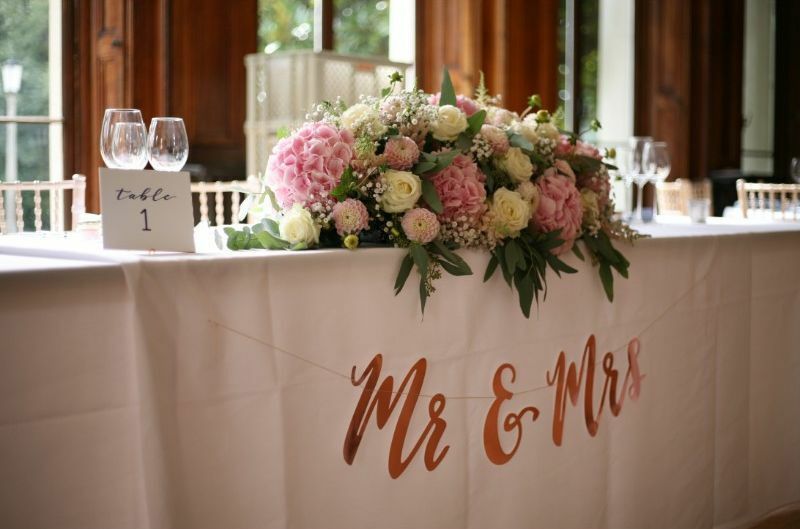 Ask the team for a full details of our Wedding Flowers terms and conditions. 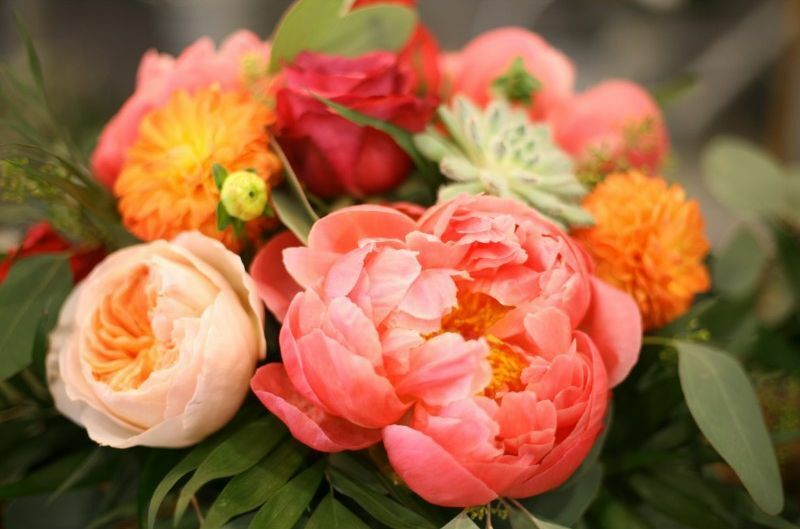 Equipped with your brief, our team of experienced florists will set to work. 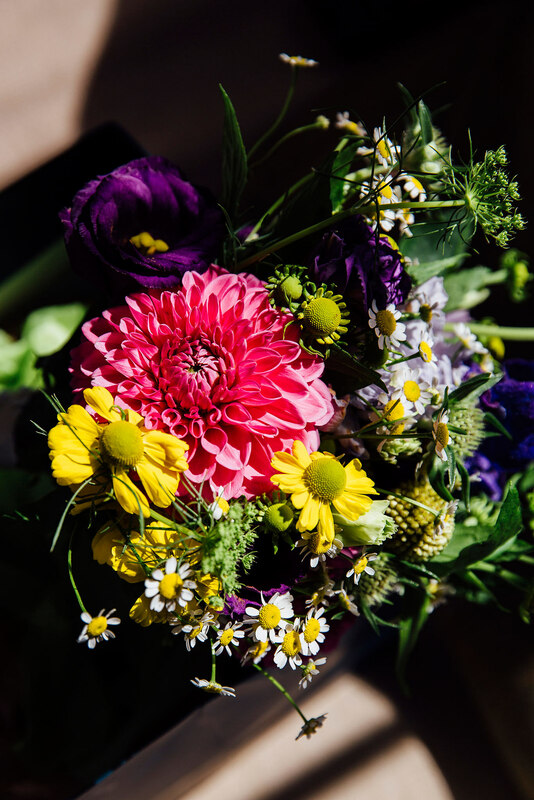 We buy direct from the largest growers’ network in Holland, which means we can source a huge variety of flowers, plants, containers and accessories to bring you something really special. 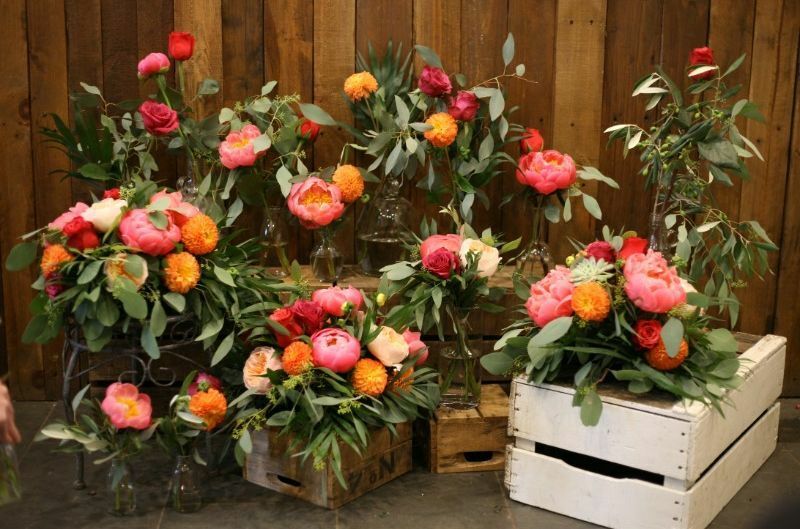 On the day itself (sometimes the night before), a trained and experienced Gardenia florist will deliver and install your venue displays. 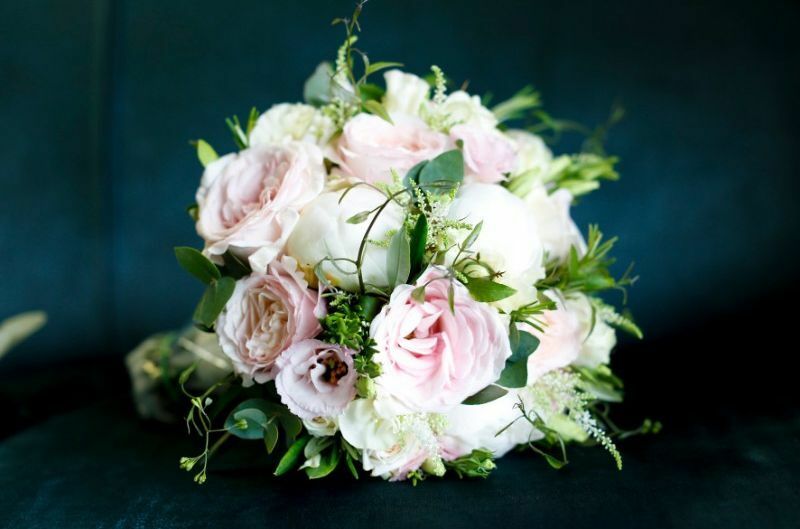 Your bridal bouquet, bridesmaids’ flowers and buttonholes will arrive in plenty of time before the ceremony. We take huge pride in our work. We’ll personally oversee the installation of your displays and make sure that they are looking their absolute best before your guests arrive. You don’t need to worry about calling to check that everything is in place – trust us to look after it for you, then relax and enjoy your day. 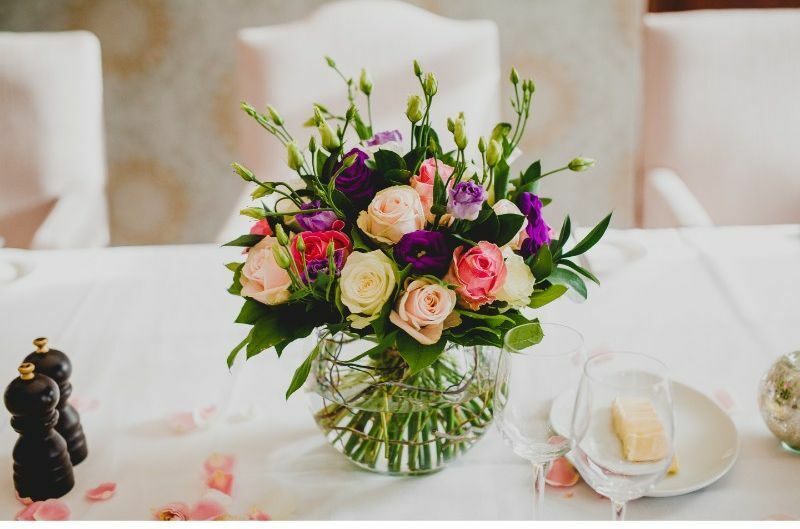 "Wedding flowers at The County Arms"
We just wanted to say a massive thank you for the beautiful flowers you provided for our wedding. They exceeded expectations and really added to our day. We’ll make sure to recommend your services. 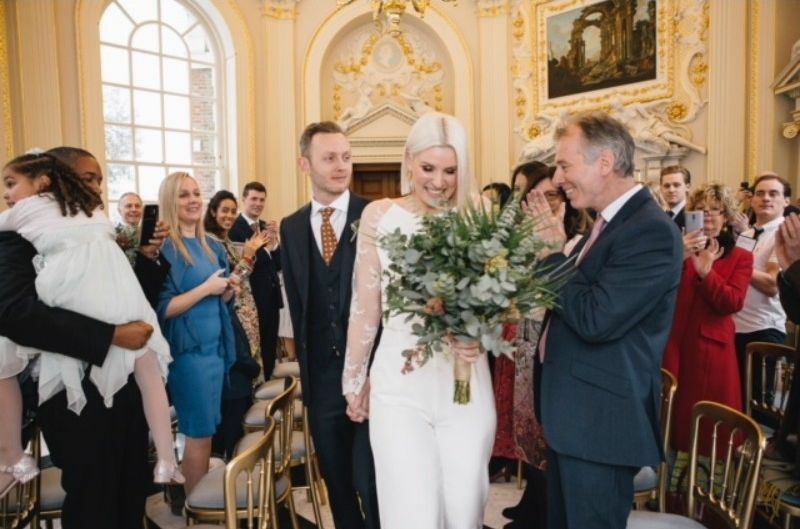 "Wedding flowers at Cannizaro House"
Just a note to pass on huge and heartfelt thanks to you for creating our dream vision in terms of our wedding flowers! We were completely wowed by your work and the whole look completely exceeded our expectations. Thank you to all that were involved as your hard work and talent were evident! Thank you again. So much. 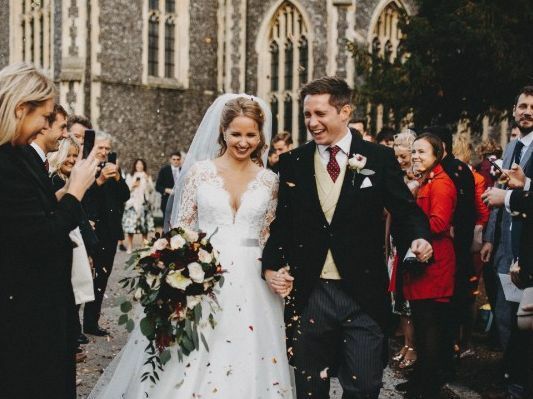 We were recommended to you by some friends who have used your for their daughters weddings recently and I can honestly say that we were amazed by the flowers and button holes. We couldn't have wished for anything more beautiful! The service, to boot, was impeccable. 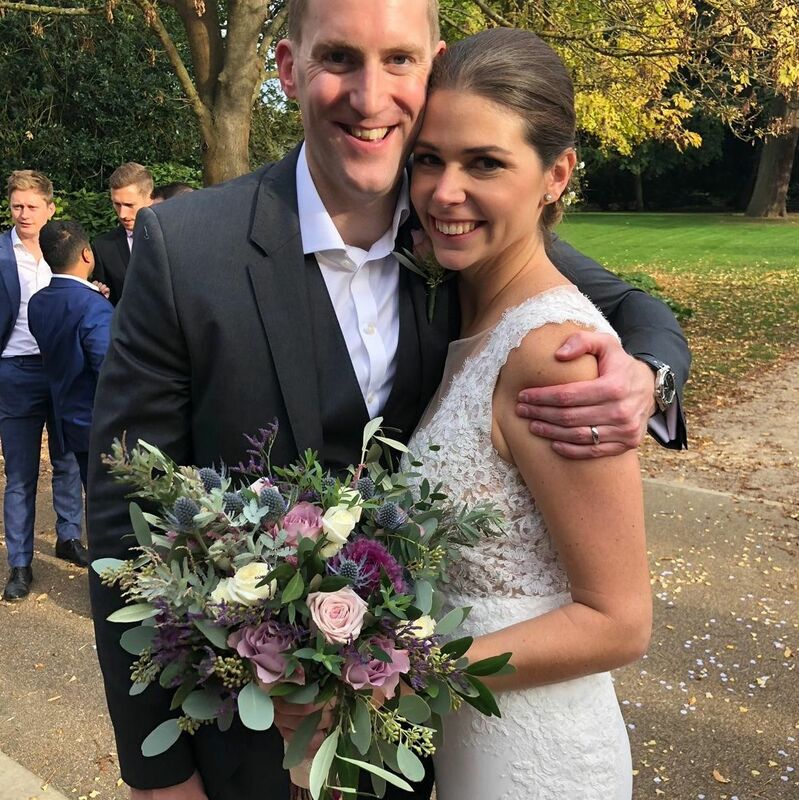 Thank you so so much for my gorgeous bridal bouquet and the buttonholes for our wedding yesterday. As promised at the collection here’s a photo for you! 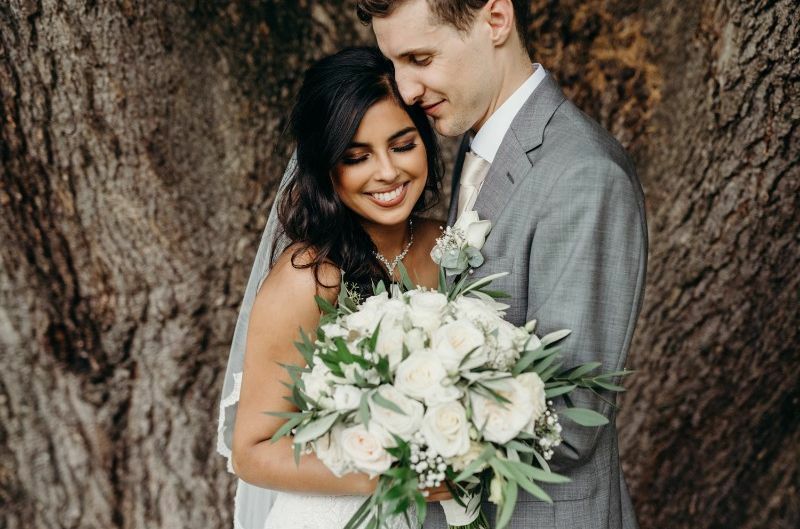 I loved the bouquet much more than I could have expected! We know that weddings are expensive. 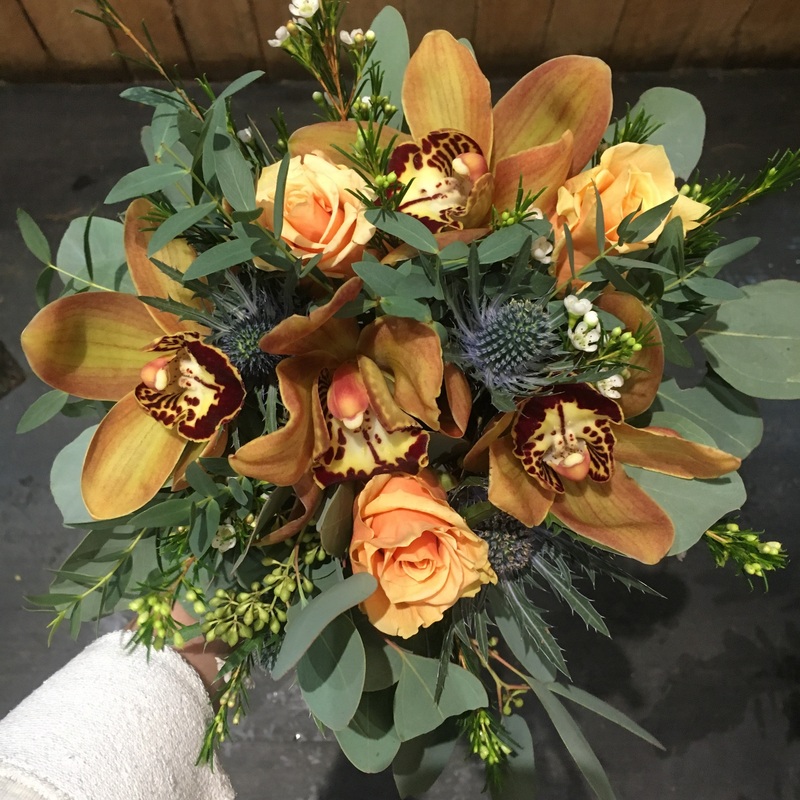 Tell us your budget and we promise to stick to it, using the tricks of the floristry trade to make sure you get the most for your money. As long as you’re realistic with your expectations, we can work with any budget. 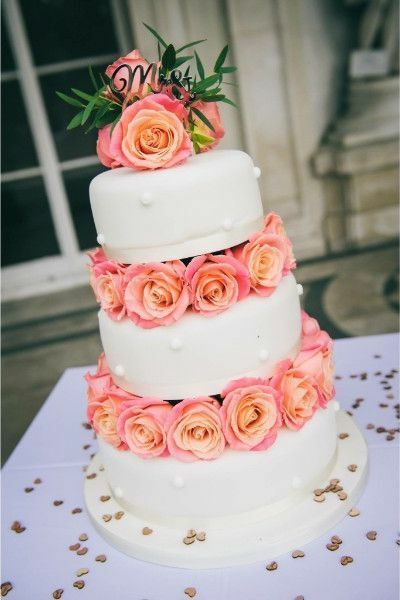 As a guide, bridal bouquets start from £75 and table arrangements from £50. For peace of mind, it’s a good idea to secure your date as soon as possible. 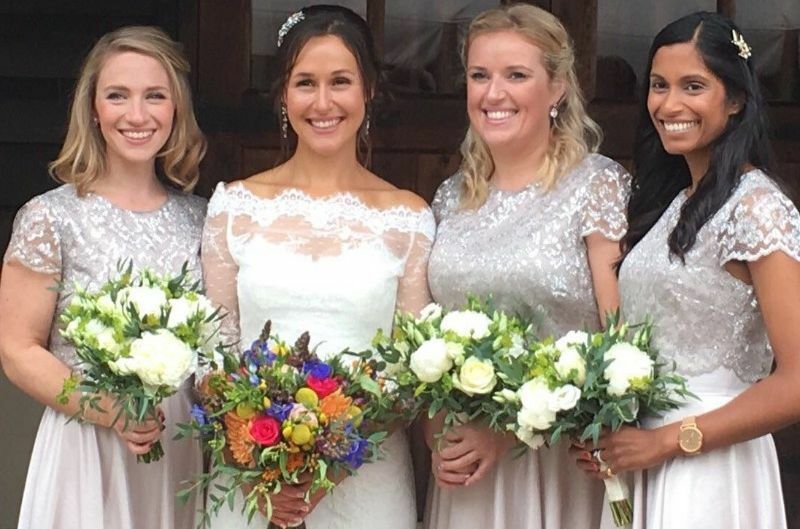 Details can be changed in the run up to the wedding so don’t worry if you're not sure how many buttonholes you’ll need, for example. 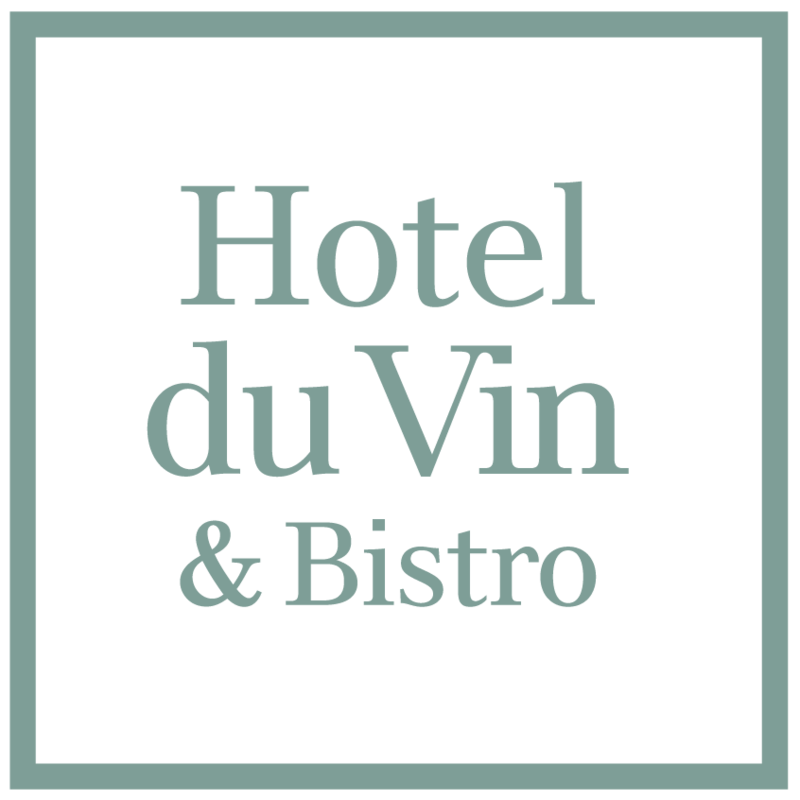 As you can imagine, summer weekends are very busy so the important thing is to get your date booked into our diary ASAP. 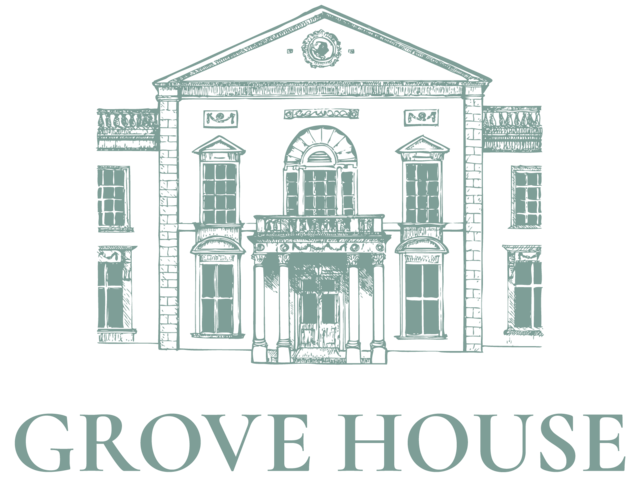 Book a consultation using the button at the top of this page to get started. 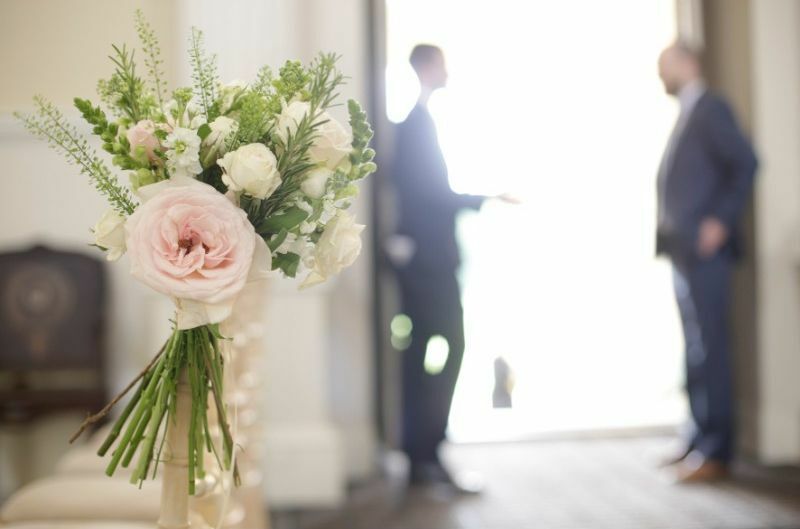 Start with a free, no obligation consultation with a Gardenia wedding flowers specialist. We’ll talk about your ideas and offer some suggestions, then email you an itemised quote. When you’re ready to book, we require a 25% deposit. Yes. Glassware, jam jars, zinc buckets, vintage milk bottles, the lot. We charge a rental fee for each item and and the full retail price for anything that is mislaid or broken. 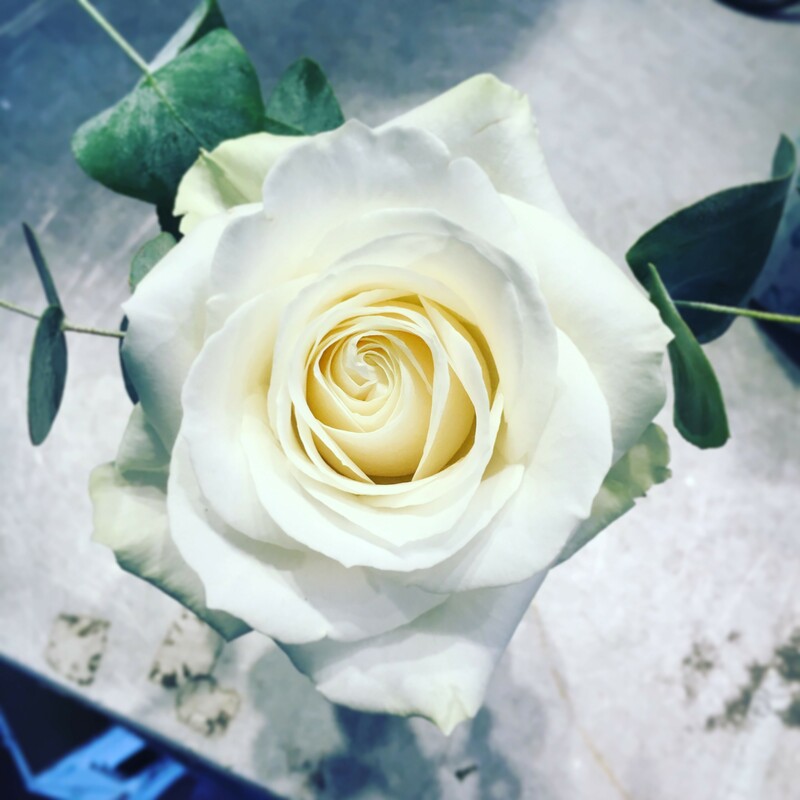 Gardenia has been designing wedding flowers for 20 years and each of our florists has their own individual style. 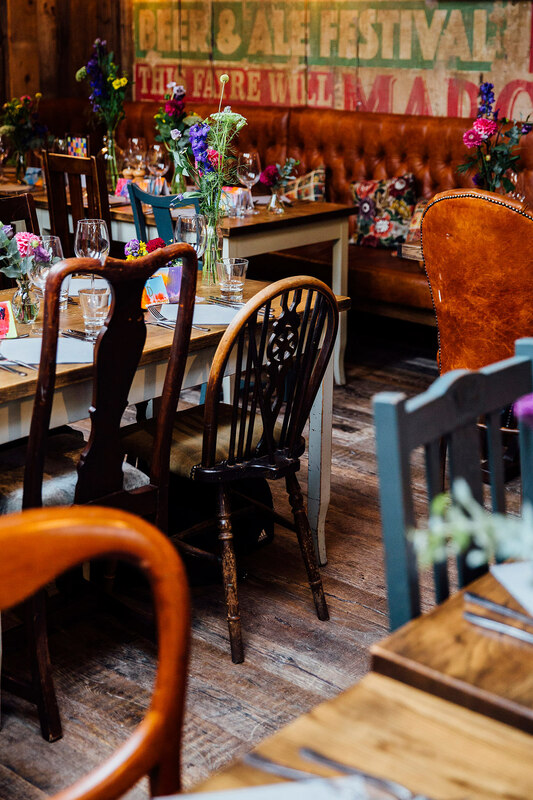 Whether you’re looking for a vintage feel, contemporary cool, loose and wild or something altogether different, we’ll work closely with you to create the look that you want. 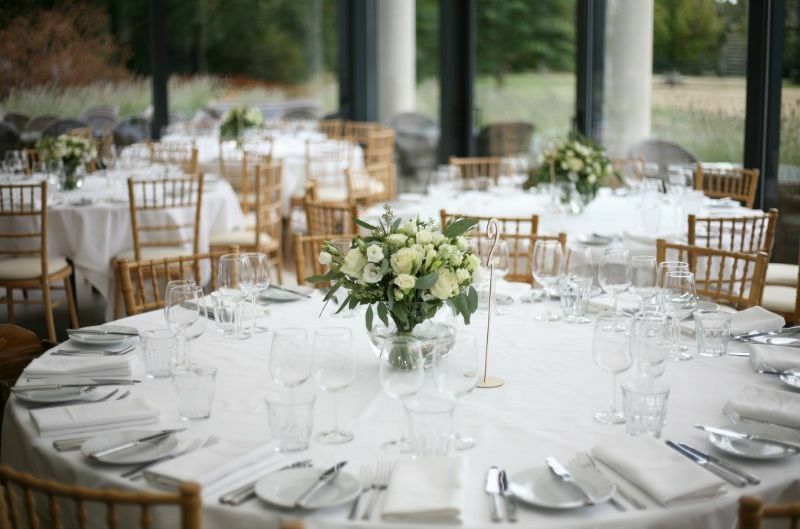 We are lucky enough to work with these incredible venues already - and we're adding more all the time.